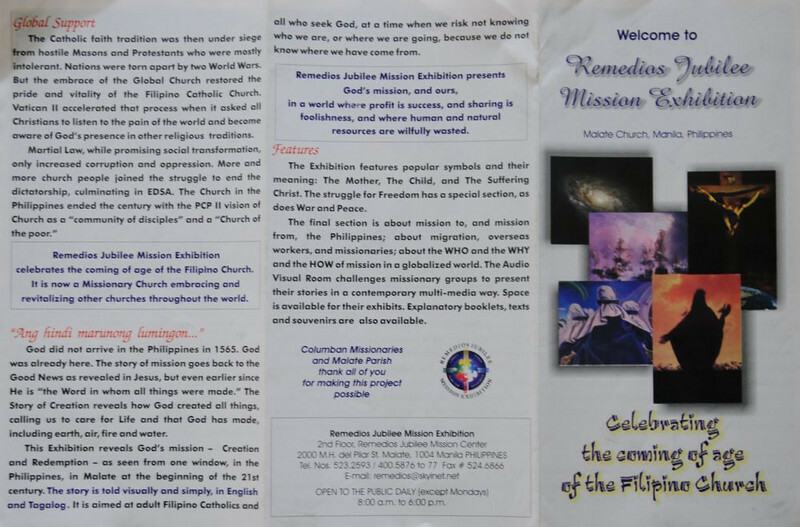 Brochure for the Remedios Jubilee Mission Exhibition at the Malate church, Manila, Philippines. For a video of the entrance to the Exhibition hall, see this YouTube video (5:21). Hover your mouse over the right of this photo and click "original" to see an enlargement.